It all starts with the creation of a 3D model in your computer. This digital design is for instance a CAD (Computer Aided Design) file. A 3D model is either created from the ground up with 3D modeling software or based on data generated with a 3D scanner. With a 3D scanner you’re able to create a digital copy of an object. Currently, prices of 3D scanners range from expensive industrial grade 3D scanners to $30 DIY scanners anyone can make at home. We’ve created a handy guide to scanning technology right here, rating them by price, speed, precision and software capabilities. 3D modeling software come in many forms. There’s industrial grade software that costs thousands a year per license, but also free open source software, like Blender, for instance. You can find some beginner video tutorials on our Blender tutorials page. 3D modeling software are often made to suit the functions of the user’s industry. This has resulted in the rise of software suited to specific niches. As a result, there are software applications on the market that cater to aerospace or transportation, furniture design or fabrics and fashion among many others. For this reason, when you are starting out, the amount of choices can be a bit overwhelming, we recommend starting with Tinkercad. Tinkercad is available for free and it works in browsers that support WebGL, for instance Google Chrome. 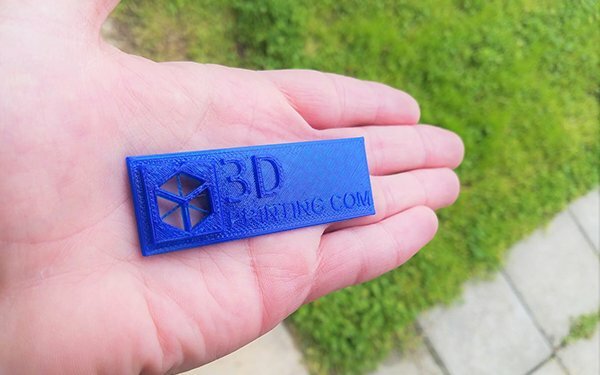 They offer beginner lessons and has a built in option to get your object printed via a 3D print service. Now that you you have a 3D model, the next step is to prepare it in order to make it 3D printable. You will have to slice a 3D model in order to make it 3D printable. Slicing is dividing a 3D model into hundreds or thousands of horizontal layers and is done with slicing software. Sometimes it’s possible to slice a 3D file within a 3D modeling software or in the 3D printer itself. It is also possible that you are forced to use a certain slicing tool for a certain 3D printer. When your 3D model is sliced, you are ready to feed it to your 3D printer. This can be done via USB, SD or Wi-Fi. It really depends on what 3D printer brand you work with. When a file is uploaded in a 3D printer, the object is ready to be 3D printed layer by layer. Getting started with 3D printing means asking yourself what you would like to learn first. Are you interested in the hardware, or do you want to focus on the end result – creating objects? 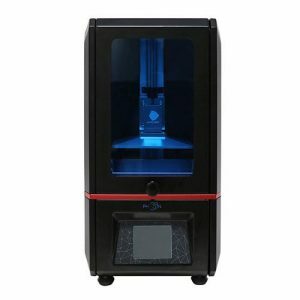 Answering this question could lead you to the decision if whether you should buy a pre-assembled 3D Printer or a DIY 3D Printer kit. 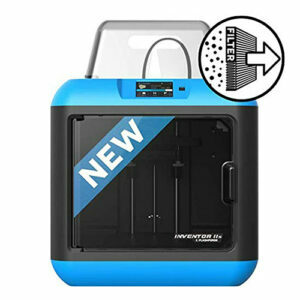 Read more in our 3D Printers for Beginners buyers guide. 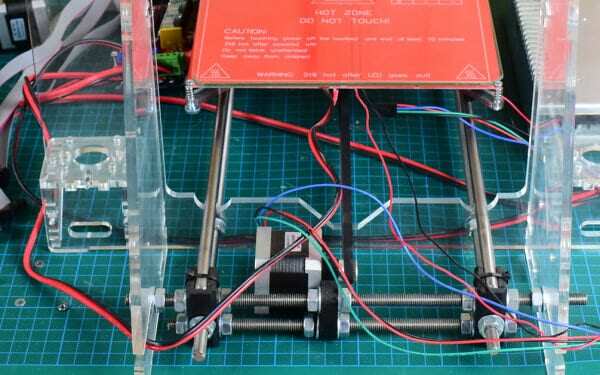 Want to buy a 3D printer but you have a tight budget? Starting your journey into 3D printing doesn’t need to be expensive. There are plenty cheap 3D printers under $250. 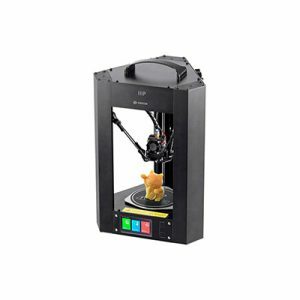 Besides the examples above, there are a bunch of different elements which will help decide what the best 3D printer is for you. Will it be used in the classroom? Will it be used for small batch production? 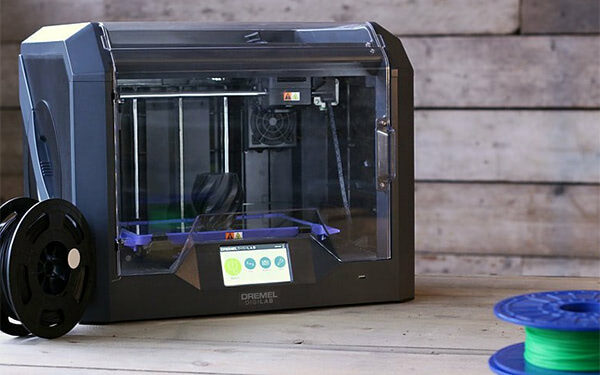 For more information, please read our buyers guide: the best 3D printers of 2019. The 3D printing industry encompasses many forms of technologies and materials. When most people think of 3D printing they vizualize a simple desktop 3D printer but that’s just the tip of the iceberg. 3D printing can be divided into metal, fabrics, bio and a whole host of other industries. For this reason, it’s important to see it as a cluster of diverse industries with a myriad of different applications. In the third quarter of 2017, Materialise reported increased revenues for their software, medical and manufacturing divisions. The revenue amounted to a $6 million increase in total when compared to the previous year. This is indicative of those very same increasing applications within the industry as the field grows larger. 3D printing is becoming more and more intertwined with the day-to-day operations of businesses. In terms of outlook, CEOs definitely see 3D printing as a benefit. Most expect a 72% rise in spending for 2018 and 55% expect one in 2017. At this stage, most companies are primarily focusing on research and development and prototyping. FFF / FDM 3D printers are the most used 3D printers as of 2018 with SLS coming in second. Although, over the years metal printing has been climbing. This is to be expected since there is massive amounts of R and D being put into the metal side of additive manufacturing. Company’s like Google and General Electric have been investing in various technologies over the course of the year, possibly having seen the future potential of metal printing. Applications include rapid prototyping, architectural scale models & maquettes, 3D printed prosthetics and movie props. Other examples of 3D printing would include reconstructing fossils in paleontology, replicating ancient artifacts in archaeology, reconstructing bones and body parts in forensic pathology and reconstructing heavily damaged evidence acquired from crime scene investigations. Educators and students have long been using 3D printers in the classroom. 3D printing enables students to materialize their ideas in a fast and affordable way. 3D printer manufacturers have taken up a more direct role in education. Companies often undertake programs to promote technologies. These programs serve as a cheaper way for schools to make 3D printers available for use in classes. Programs such as Create Education Project enable schools to integrate additive manufacturing technologies into their curriculum for essentially no cost. 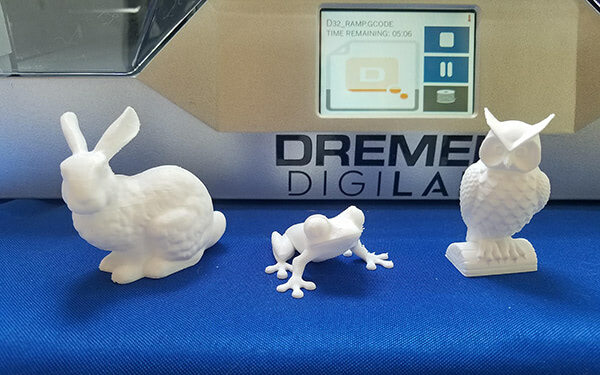 The project lends a 3D printer to schools in exchange for either a blog post about the teacher’s experience of using it or a sample of their lesson plan for class. This allows the company to show what 3D printers can do in an educational environment. Similarly, certain companies provide lesson plans to schools, teaching kids how to use (and sometimes build) them. This is important as many schools may not have anyone on staff with abundant experience in this field. Similarly, many educational companies such as Kidesign partner up with printer manufacturers to create projects like Kiddeville with very specific aims in mind. This project is a collaborative design project where students designs elements of a scale model of a city. Over the course of these kinds of projects, teachers guide them through research, development and printing. Such programs give a much more specific goal and a level of focus that regular classes don’t have. While additive manufacturing-specific degrees are a fairly new advent, universities have long been using 3D printers in other disciplines. There are many educational courses one can take to engage with 3D printing. Universities offer courses on things that are adjacent to 3D printing like CAD and 3D design, which can be applied to 3D printing at a certain stage. In terms of prototyping, many university programs are turning to printers. There are specialisations in additive manufacturing one can attain through architecture or industrial design degrees. Printed prototypes are also very common in the arts, animation and fashion studies as well. Research labs in a diverse range of vocations are employing 3D printing for functional use. While most studies are still employing the printers for models, medical and aerospace engineers are putting them to use in creating new technologies. Medical labs are producing all sorts of bio-printers and designs for prosthetics. Engineers are, similarly, incorporating printing into designs automobiles and airplanes. The educational environment is not only limited to institutional and schools. There are a great deal of other ways one can learn about additive manufacturing. One of the increasingly popular ones is to do it online. 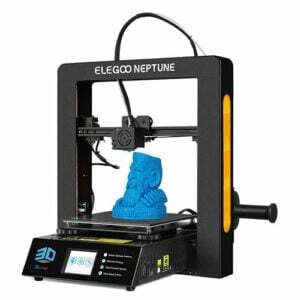 To supplement online studies, many companies offer discount deals for 3D printers and related tech. One such deal comes packaged with Coursera’s online classes. You can also teach yourself for free by watching YouTube videos. Many YouTubers and online tutors make a living off of assembling 3D printers and creating free tutorials. 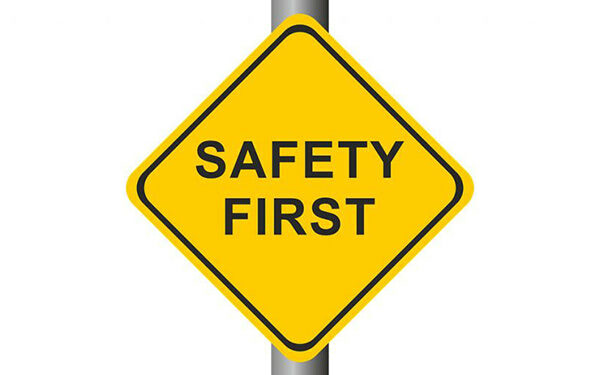 Metal printers are expensive and require some training before you can operate them. This requires in person workshops like those offered by 3DMT. Aerospace / Defense, Power Generation, and Electronic manufacturers attend two days of in-depth instruction and receive a detailed overview on 3D printing technologies, followed by an intensive, hands-on curriculum on how to use metal printers in prototyping and production. Courses like this are more professional and often cater to businesses as opposed to only individuals. They can be a great place to learn to use equipment that is ordinarily out of the regular consumer’s reach. 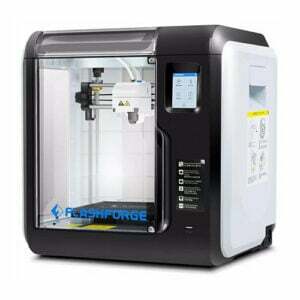 Manufacturers have long used 3D printers in their design process to create prototypes. Using 3D printers for these purposes is called rapid prototyping. Why use 3D Printers for Rapid Prototyping? In short: it’s fast and relatively cheap. Nike uses 3D printers to create prototypes of running cleats. They used to spend thousands of dollars (and wait weeks) on a prototype before they could hold it in their hands. Now, the cost is only a fraction of what it was, and changes to the 3D file can be made instantly and the prototype reprinted on the same day. Besides rapid prototyping, 3D printing is also used for rapid manufacturing. 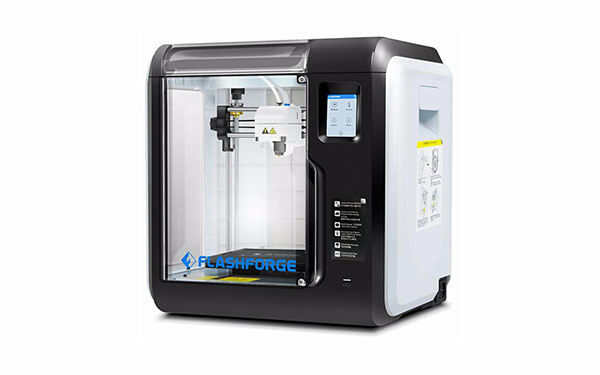 Rapid manufacturing is a new method of manufacturing where companies are using 3D printers for short run / small batch custom manufacturing. In this way of manufacturing the printed objects are not prototypes but tools, molds or end-use products. Car manufacturers, restorers and repairers have been utilizing 3D printing for a long time. Automotive industry experts only expect the use of additive manufacturing technologies to grow in the coming years. Companies are using it to produce not just parts, but tools, jigs and fixtures. It has also enabled on-demand manufacturing, leading to lower stock levels for spare parts. Automobile manufacturer Koenigseg uses carbon fiber parts in their One:1 car. Thanks to a Dimension SST 1200es 3D Printer the company saved 40% of the cost and the parts were developed 20% faster than traditional methods. Similarly, Audi is using 3D metal printing to produce spare parts. They are in the midst of basically disrupting their own supply chain by printing spare parts on demand with a metal printer. Even though large-scale manufacturers are the dominant users of 3D printing, other types of automobile enthusiasts are making their mark as well. Motorcar engineers all over the world are using printed parts to restore old cars. One such example is when Australian engineers printed out parts to bring a delage Type-C back to life. In doing so, they had to print parts that were out of production for decades and they succeeded. The aviation industry currently uses 3D printing in many different forms. Boeing have been exploring the potential of printed parts and airplanes for a long time. Back in 2015 it was estimated that Boeing had more than 20,000 3D printed parts implemented in their airplanes. Boeing is also utilizing metal printing. The 787 uses tons of printed titanium parts, saving the company 2 – 3 million per plane. Similarly, on the 3D printer supplier side, there are companies carving out a niche in making machines specifically for airplane production. One such machine is Stratasys’ H2000, which uses an infinite build mechanism. If you want to see 3D printing applied in the wildest ways imaginable, look no further than the aerospace industry. From materials to concept printers they are doing some of the most interesting, cutting edge research in the entire field, all for the purpose of making interstellar exploration more habitable. Space travel requires an ultra durable exterior. Multiple organisations, such as NASA, have been perfecting the shielding on shuttles using 3D printers. Researchers have also been working on ways to make materials more accessible. Northwestern university presented a concept for a means of turning extraterrestrial soil into printable parts. The printing methods that they developed allows for printers to create goods out of abundant materials. Similarly, researchers at the University of Ottawa took this idea a step further by proposing self-replicating printers that process lunar soil. These printers, while still a concept, could lead to exponentially decreasing the amount of construction materials and equipment necessary for a lunar mission. In fact, they could just leave the printer there to build more machines. Can you print buildings? – you sure can. There are not many of them, but companies like Apis Cor are producing fascinating results. The company claims it can print a house within 24 hours. Currently, it lends out its machinery to various other firms. Similarly, countries like China are experimenting with 3D printing in construction. A project by Shanghai based WinSun uses recyclable materials to print houses for $4,800 dollars per unit. In this case, all the parts are printed separately first and later on assembled. Since bigger construction projects require a massive build area, companies have had to think outside the box. On-site Robotics, for example, have been working with the concept of increasing build volumes by mounting printers on cables and monitoring the process with drones. These concepts are rapidly evolving over time, but they have a long way to go. Architects were one of the early adopters of 3D printing technology. When architects need to present their work as a physical scale model, 3D printing will always be a quick and efficient way to do it. 3D printers help cut down manpower and time when it comes to visualizing designs for clients. 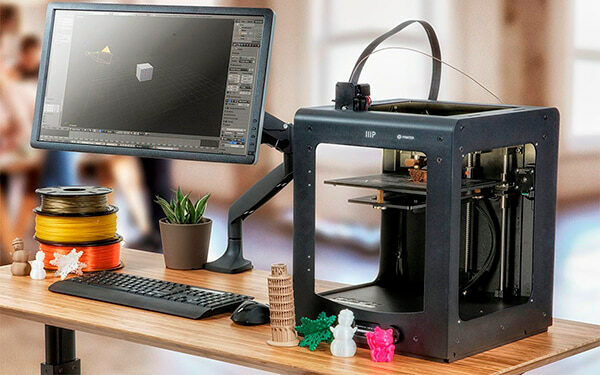 Even though prototyping is still the number one use of printers, there are many instances of companies producing end user products with 3D printers. Companies like Steelcase are looking into printing furniture and investing loads of money into new techniques to do it. Along with MIT, they showed off a fantastic new and quick way to UV-cure plastic into desired shapes. They hope to leverage this into a furniture manufacturing technique. These printers also allow for materials to be reused. Dutch designer Dirk van der Kooij’s 3D printed chairs are printed within a few hours. He uses recycled plastic from old refrigerators to create his Endless Chair, a durable and stylish piece of furniture. For further reading, check this list with large scale 3D printers big enough to print furniture. There are quite a few designer lighting fixtures and lamp shades that use 3D printing out there. As of right now, there are no mass production ones. Dutch company V3RS’ U-TL pendant lamps envelope themselves around a florescent tube, providing a unique shape for lighting solutions. They can take the form of flowers or other shapes that add extra flavour to the design of any room. Additive manufacturing has also enabled the development of optics for bulbs and LEDs. Luxexcel’s work in printing optics is already being used for various LED lamps and arrays. It’s altering the way we project and produce light. 3D printers are great for making trinkets and tiny add-ons for our daily lives. Jewelery printing is perhaps the best example of this. This is another niche within 3D printing. Printers like the Solidscape S300 are ideal for creating the wax molds one uses to produce jewellery. Solidscape actually has a whole line of these sorts of machines, indicating that the market is there. The outlook for medical use of 3D printing is evolving at an extremely rapid pace as specialists are beginning to utilize 3D printing in more advanced ways. Patients around the world are experiencing improved quality of care through 3D printed implants and prosthetics never before seen. Even 3D pens are helping out in orthopaedic surgery. As of the early two-thousands 3D printing technology has been studied by biotech firms and academia for possible use in tissue engineering applications where organs and body parts are built using inkjet techniques. Layers of living cells are deposited onto a gel medium and slowly built up to form three dimensional structures. We refer to this field of research with the term: bio-printing. The dental industry is embracing 3D printed goods in a rapid pace. AM has allowed dentists to make bite splints, night guards, retainers, dentures and crowns. In fact, there’s a whole market for dental printers like the EnvisionTEC Vida. These printers allow dental professionals to craft appliances in the exact shape that clients need them in for a fraction of the usual cost. Additive manufacturing invaded the food industry a long time ago. Restaurants like Food Ink and Melisse use this as a unique selling point to attract customers from across the world. 3D Printing is allowing for odd kinds of food to come about. Shape-changing or transparent pasta’s could be available at a store near you any time soon. Even NASA are getting in on the act with pizza printed in space. 3D printing has been on the periphery of the fashion world. Aspiring designers have long been trying to leverage its potential. Designers are making tools that can shake up the production and retail system. Danit Peleg is a fashion designer with a keen eye for the future. While implementing 3D printing into fashion is nothing new, the consumer model she is using on her website is immensely clever. On the website, users can design their own jacket and have it printed, fitted and delivered in just a few clicks. Looking around, one can see the growth of 3D printed fashion. Considered the pioneer of 3D printed haute couture, Iris van Herpen, prints dresses in collaboration with i.Materialize. The Adidas Futurecraft 4D has a 3D printed sole. Adidas has made arrangements with Carbon to use their DLS 3D printing process. Major companies taking an interest in these possibilities is indicative of an inevitable wave of growth. Some methods use melting or softening material to extrude layers. Others cure a photo-reactive resin with a UV laser (or another similar light source) layer by layer. A 3D printer based on the Vat Photopolymerisation method has a container filled with photopolymer resin which is then hardened with a UV light source. The most commonly used technology in this processes is Stereolithography (SLA). This technology employs a vat of liquid ultraviolet curable photopolymer resin and an ultraviolet laser to build the object’s layers one at a time. For each layer, the laser beam traces a cross-section of the part pattern on the surface of the liquid resin. Exposure to the ultraviolet laser light cures and solidifies the pattern traced on the resin and joins it to the layer below. After the pattern has been traced, the SLA’s elevator platform descends by a distance equal to the thickness of a single layer, typically 0.05 mm to 0.15 mm (0.002″ to 0.006″). Then, a resin-filled blade sweeps across the cross section of the part, re-coating it with fresh material. On this new liquid surface, the subsequent layer pattern is traced, joining the previous layer. The complete three dimensional object is formed by this project. Stereolithography requires the use of supporting structures which serve to attach the part to the elevator platform and to hold the object because it floats in the basin filled with liquid resin. These are removed manually after the object is finished. In most forms of DLP, each layer of the desired structure is projected onto a vat of liquid resin that is then solidified layer by layer as the buildplate moves up or down. As the process does each layer successively, it is quicker than most forms of 3D printing. 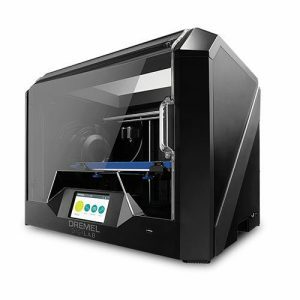 The Envision Tec Ultra, MiiCraft High Resolution 3D printer, and Lunavast XG2 are examples of DLP printers. The heart of the CLIP process is Digital Light Synthesis technology. In this technology, light from a custom high performance LED light engine projects a sequence of UV images exposing a cross section of the 3D printed part causing the UV curable resin to partially cure in a precisely controlled way. Oxygen passen through the oxygen permeable window creating a thin liquid interface of uncured resin between the window and the printed part known as the dead zone. The dead zone is as thin as ten of microns. Inside the dead zone, oxygen prohibits light from curing the resin situated closest to the window therefore allowing the continuous flow of liquid beneath the printed part. Just above the dead zone the UV projected light upwards causes a cascade like curing of the part. Simply printing with Carbon’s hardware alone does not allow for end use properties with real world applications. Once the light has shaped the part, a second programmable curing process achieves the desired mechanical properties by baking the 3d printed part in a thermal bath or oven. Programmed thermal curing sets the mechanical properties by triggering a secondary chemical reaction causing the material to strengthen achieving the desired final properties. The following video shows a high-end binder jetting based 3D printer, the ExOne M-Flex. 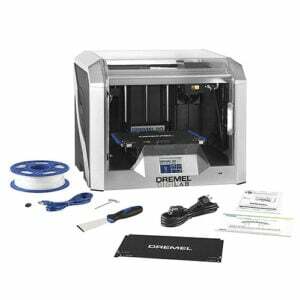 This 3D printer uses metal powder and curing after the binding material is applied. The most commonly used technology in this process is Fused Deposition Modeling (FDM). Fused deposition modelling (FDM), a method of rapid prototyping: 1 – nozzle ejecting molten material (plastic), 2 – deposited material (modelled part), 3 – controlled movable table. Image source: Wikipedia, made by user Zureks under CC Attribution-Share Alike 4.0 International license. The FDM technology works using a plastic filament or metal wire which is unwound from a coil and supplying material to an extrusion nozzle which can turn the flow on and off. The nozzle is heated to melt the material and can be moved in both horizontal and vertical directions by a numerically controlled mechanism, directly controlled by a computer-aided manufacturing (CAM) software package. The object is produced by extruding melted material to form layers as the material hardens immediately after extrusion from the nozzle. 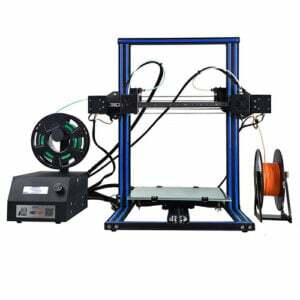 This technology is most widely used with two plastic 3D printer filament types: ABS (Acrylonitrile Butadiene Styrene) and PLA (Polylactic acid). Though many other materials are available ranging in properties from wood fill to flexible and even conductive materials. FDM was invented by Scott Crump in the late 80’s. After patenting this technology he started the company Stratasys in 1988. The term Fused Deposition Modeling and its abbreviation to FDM are trademarked by Stratasys Inc. 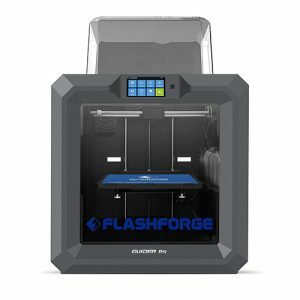 Looking for an overview of all FFF 3D printers? 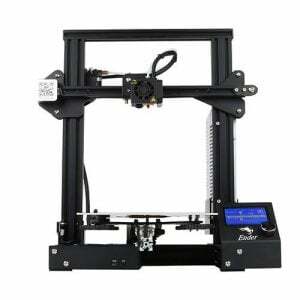 Use our tool and compare 3D printer price. 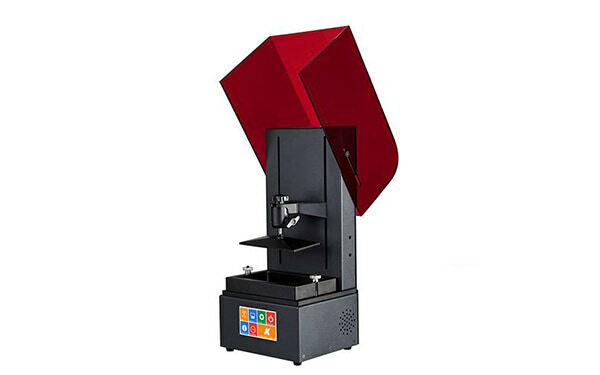 SLS uses a high power laser to fuse small particles of plastic, ceramic or glass powders into a mass that has the desired three dimensional shape. The laser selectively fuses the powdered material by scanning the cross-sections (or layers) generated by the 3D modeling program on the surface of a powder bed. After each cross-section is scanned, the powder bed is lowered by one layer thickness. Then a new layer of material is applied on top and the process is repeated until the object is completed. DMLS is basically the same as SLS, but uses metal instead of plastic, ceramic or glass. All untouched powder remains as it is and becomes a support structure for the object. Therefore there is no need for any support structure which is an advantage over SLS and SLA. All unused powder can be used for the next print. SLS was developed and patented by Dr. Carl Deckard at the University of Texas in the mid-1980s, under sponsorship of DARPA. Simplified model of ultrasonic sheet metal 3D printing. Image source: Wikipedia from user Mmrjf3 shared under Creative Commons Attribution 3.0 Unported license. Six types of materials can be used in additive manufacturing: polymers, metals, concrete, ceramics, paper and certain edibles (e.g. chocolate). Materials are often produced in wire feedstock a.k.a. 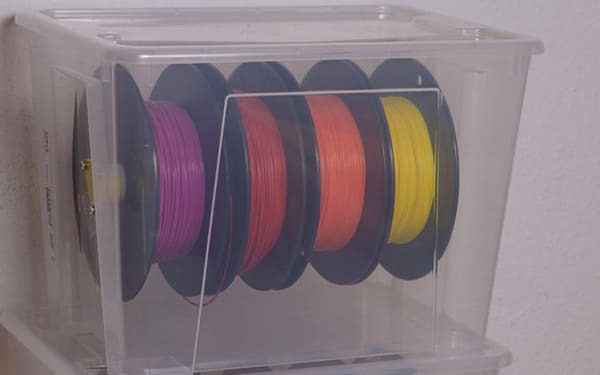 3D printer filament, powder form or liquid resin. All seven previously described 3D printing techniques, cover the use of these materials, although polymers are most commonly used and some additive techniques lend themselves towards the use of certain materials over others. Read more about which materials you can use for 3D printing on our 3D printer materials page. In the history of manufacturing, subtractive methods have often come first. The province of machining (generating exact shapes with high precision) was generally a subtractive affair, from filing and turning through milling and grinding. Additive manufacturing’s earliest applications have been on the toolroom end of the manufacturing spectrum. For example, rapid prototyping was one of the earliest additive variants and its mission was to reduce the lead time and cost of developing prototypes of new parts and devices, which was earlier only done with subtractive toolroom methods (typically slowly and expensively). However, as the years go by and technology continually advances, additive methods are moving ever further into the production end of manufacturing. Parts that formerly were the sole province of subtractive methods can now in some cases be made more profitably via additive ones. However, the real integration of the newer additive technologies into commercial production is essentially a matter of complementing subtractive methods rather than displacing them entirely. Predictions for the future of commercial manufacturing, starting from today’s already- begun infancy period, are that manufacturing firms will need to be flexible, ever-improving users of all available technologies in order to remain competitive. 3D printers capable of outputting in colour and multiple materials already exist and will continue to improve to a point where functional (electronic) products will be able to be output. With effects on energy use, waste reduction, customization, product availability, medicine, art, construction and sciences, 3D printing will change the manufacturing world as we know it. If you don’t have the skills to design your own 3D models, you can still print some very nice objects. 3D marketplaces such as Pinshape and CGTrader contain 3D model files you can download for a small charge or for free.